When asked Monday evening during a CNN town hall in Des Moines, Iowa about how to assure Americans have access to affordable healthcare, and whether or not private insurance companies should be cut out of the system, Democratic presidential candidate Sen. Kamala Harris gave a direct and concise answer. «I believe the solution — and I actually feel very strongly about this — is that we need to have Medicare for all. That’s just the bottom line,» Harris said to applause from a room filled with Iowa Democrats. When pressed on whether or not she supports a plan, like the one originally co-sponsored by another possible 2020 contender, Sen. Bernie Sanders, that would eliminate private health insurance, Harris’ answer was again unequivocal. While CNN reported Tuesday night that Harris remains open to other solutions to the nation’s healthcare woes — that include keeping the private insurance system intact — campaign aides sought immediately to re-iterate her support for «Medicare for all,» as the best solution. Harris’ healthcare comments have sparked a range of reaction across a Democratic Party and signal the prominent and divisive role that healthcare promises to play in a field of contenders that is just now starting to take shape more than a year out from the Iowa caucuses. 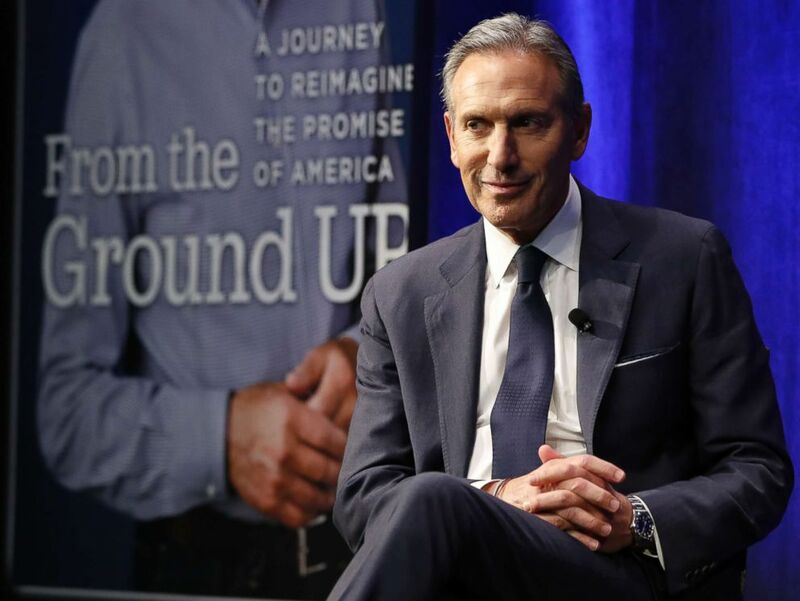 Former Starbucks CEO and Chairman Howard Schultz looks out at the audience during a book promotion tour, Jan. 28, 2019, in New York. When asked about his support for a Medicare-for-all healthcare system, former New York City Mayor Michael Bloomberg, who is also considering a run for the Democratic nomination in 2020, said eliminating private insurers would «bankrupt» the country. Critics of the system also point to studies that show a Medicare-for-all system would cost upwards of $32.6 trillion, while supporters point to the massive sums of money Americans already spend on healthcare under the current system. 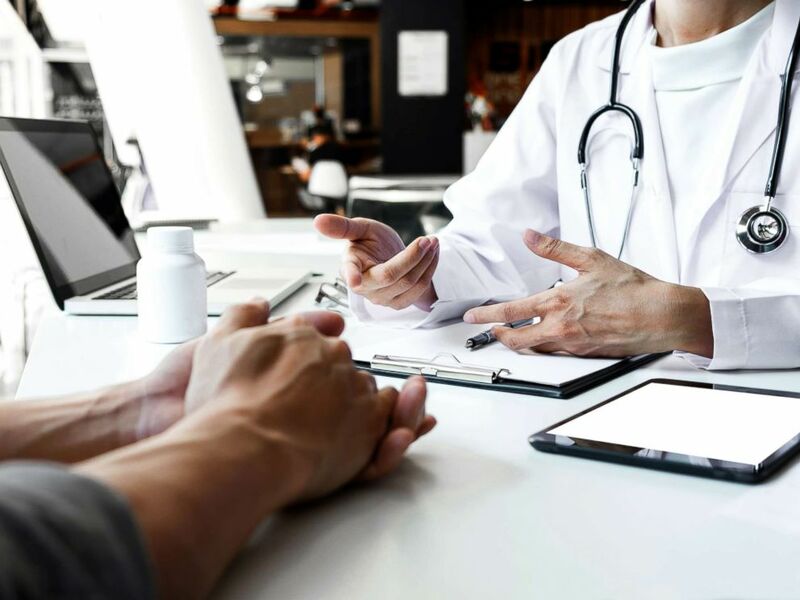 According to data from the Center for Medicare and Medicaid studies, which operates under the Department of Health and Human Services, healthcare costs in the United States reached $3.5 trillion in 2018 and were expected to reach $5.7 trillion by the year 2026. But while Shultz and Bloomberg, two billionaires who trend more toward the fiscally conservative side of Democratic politics, offered criticism, an array of other top Democrats — who have launched or are thought to be considering a 2020 bid — have signaled strong support for Medicare for all. Sens. Cory Booker of New Jersey, Kirsten Gillibrand of New York and Elizabeth Warren of Massachusetts have all backed the policy, while Sanders — who made the issues a central theme of his 2016 presidential campaign — calls it the «only long-term solution to America’s health care crisis is a single-payer national health care program. A stock photo depicts a doctor talking to her patient. Former Vice President Joe Biden, who continues to be the subject of intense speculation over his 2020 plans, has not given a definitive answer on whether or not he supports a Medicare-for-all system. According to polling done by the nonpartisan Kaiser Family Foundation, public support for a Medicare-for-all system has steadily increased over the last two decades, with 56 percent of Americans expressing support for a national healthcare plan where people would get their insurance from a government plan. However when told that the system could result in higher taxes or delays in care, support for the plan dipped significantly to just 26 percent and 37 percent, respectively. Meanwhile, Republicans seem to see the squabble as lucrative fodder to show Americans that Democrats are out of step with voters on healthcare. «Harris’s radical plan is gaining significant traction within her party and is quickly becoming a litmus test for their liberal base,» according to a news release from the National Republican Congressional Committee that went out to 52 targeted U.S. House districts the party is hoping to flip in 2020.